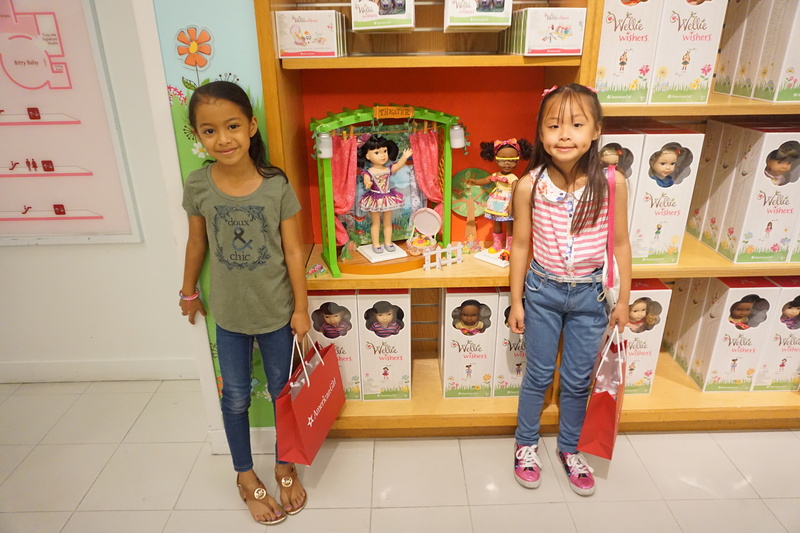 You are here: Home › Events & Outings › New American Girl Wellie Wisher dolls! We had a blast at the American Girl Place in NYC today. Kayla brought her friend Ilyanna along to share these fun memories with. This was the girls first time at the store,and it was seriously something so special to watch their faces filled with thrill. But first things first the Wellie Wishers! 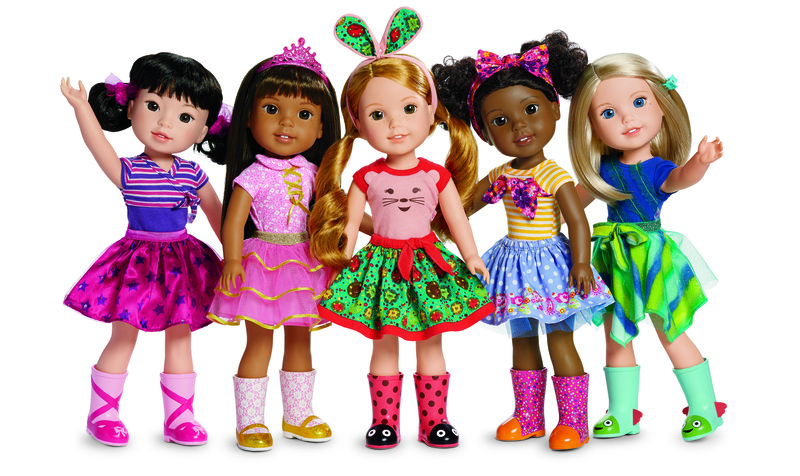 The Wellie Wishers are American Gilr’s newest dolls. They are, as a line, designated to be for elementary-aged children ages 5-7.Their size is just right for the younger girls and they are beautiful. 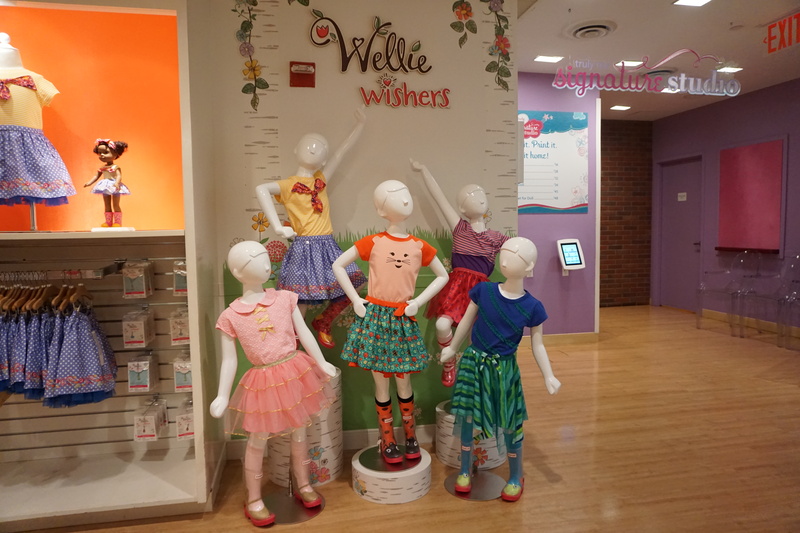 The American girl doll Wellie Wishers are a collection of 5 distinguished dolls.The line has five main characters: Willa, Kendall, Ashlyn, Emerson, and Camille.The Wellie Wishers line is geared towards outside play and imagination. 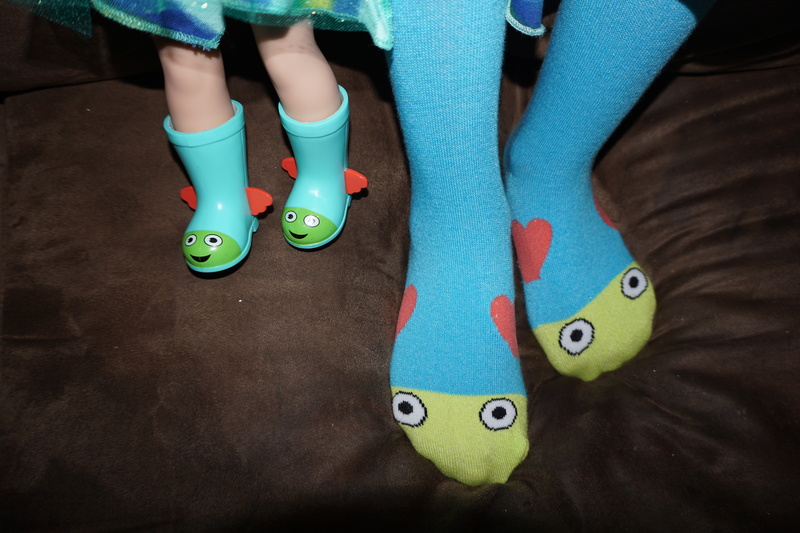 Each doll comes in a pair of rubber wellie boots which they are named after. 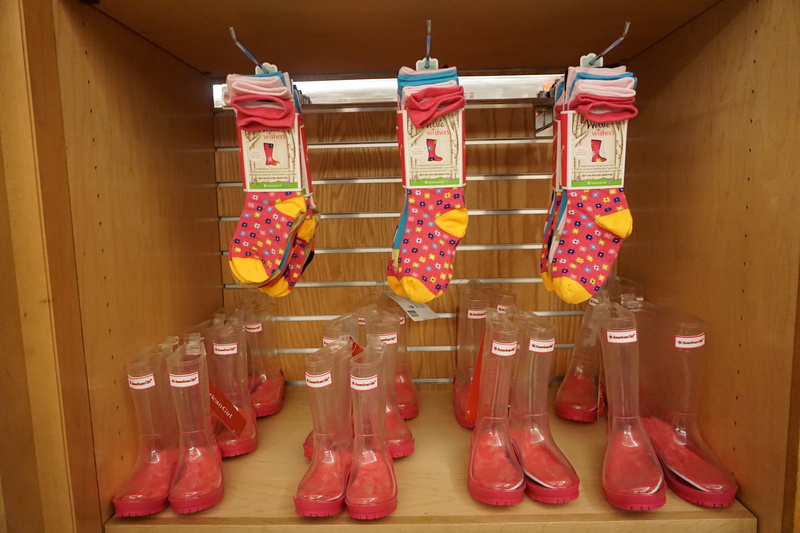 Wellie Wishers retail price is $60.00 each. The books are focused in outdoor settings and will focus on the friendship of the five characters instead of just one.Even though they share stories, their personalities are all their own. 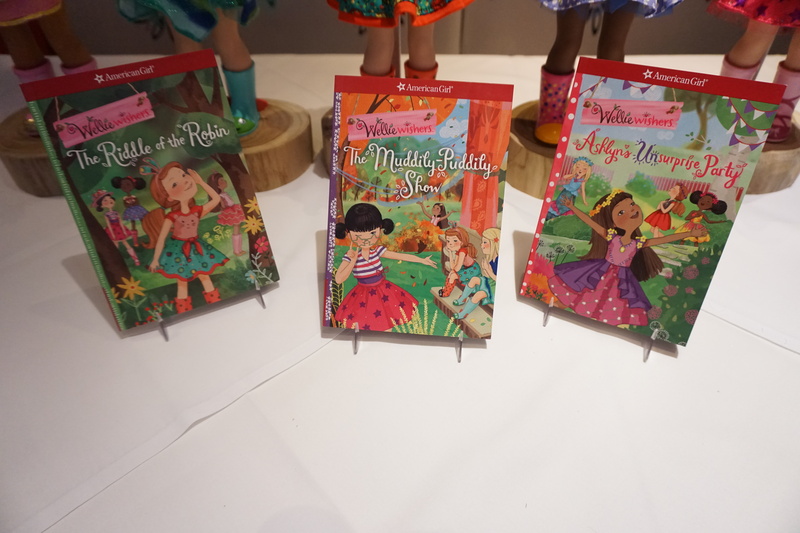 The characters are characterized as all wanting the same overall goal of being a good friends and taking a step in each other’s “Wellies’ (Wellie boots) to understand each other.The books are $5.95 each and have a release date of September 1, 2016. 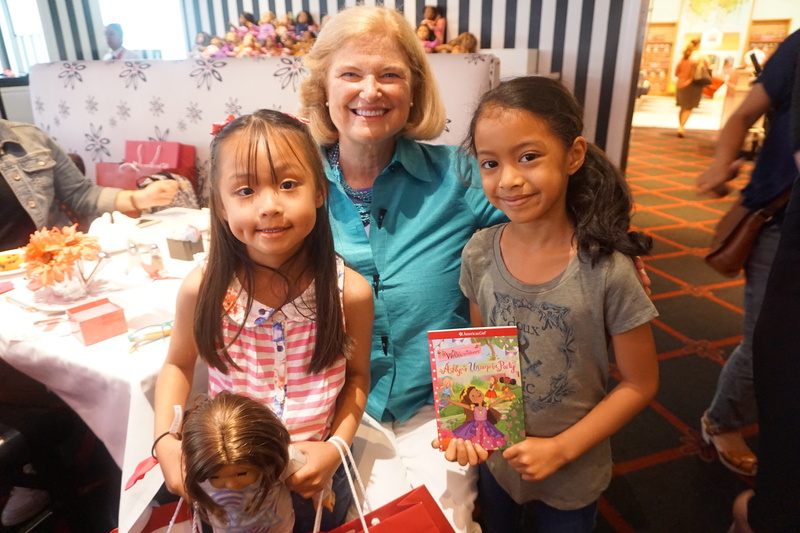 Meeting inspiring author of the American Girl Wellie Wishers books Valerie Tripp. The characters overall can share items , clothing, and accessories .Some items are strongly associated with a particular character. Outfits come with plastic shoes and for American Girl tradition all of the dolls outfits are made for the little girls in your life to match their doll. Just like Camille’s, this outfit was inspired by mermaids and ocean waves, with glittery accents and tones of blue and green. Top: Cotton. Imported. Blue. Sizes 4-7. Skirt: Cotton/polyester. Imported. Print. Sizes 4-7. 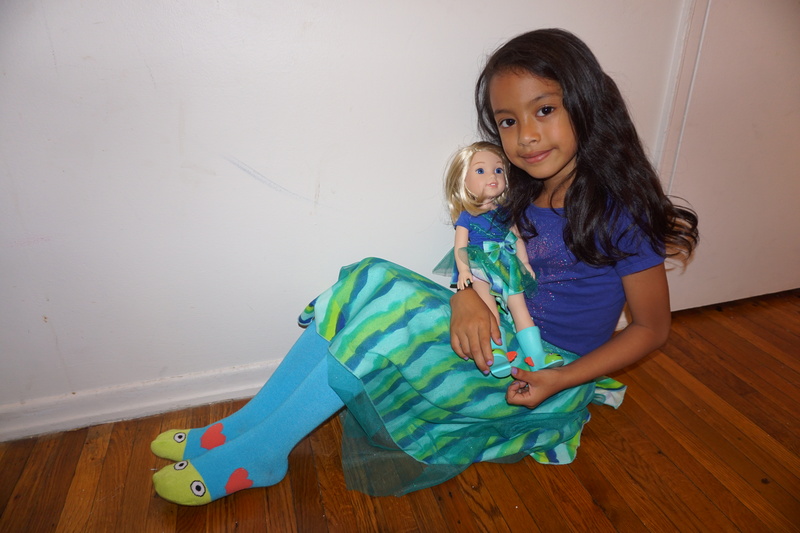 One Response to "New American Girl Wellie Wisher dolls!"